You know those days when nothing can make you go outside, those dreary rain-soaked days when it feels good to sit around and do nothing but contemplate one’s own mortality? Of course you do, we all have those days. And just in time for the upcoming winter, Finland’s Black Sun Aeon have come out with a brand new record to coat the cold souls of the damned. Blacklight Deliverance is the third full length put out by this melodic doom/death band and is one dense piece of writing. 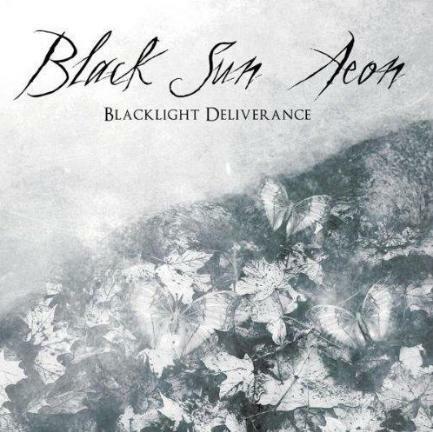 Black Sun Aeon is the brain child of Tuomas Saukkonen (Before the Dawn, The Final Harvest), a man who writes and records all the music, with the help of some live and studio musicians for select pieces, and rarely plays live. When the music is written and recorded all by the same man, you know his vision is going to come through in a clear fashion. From the first track, “Brothers,” you get that sense of despair that Saukkonen really tries to get the listener to feel, from the death growls that seem to glide over the top of the thunderous riffs and moody atmosphere to the keyboards that paint the background. At the end of the track comes a soft acoustic passage with clean female vocals sung by Janica Lönn, a beautiful end to such a heavy track. “Solitude” is another standout track that starts off with Lönn’s vocals and features Mikko Heikkila singing clean vocals as well. This exceedingly melodic track shows the range of Saukkonen’s abilities as he sings his death metal growls underneath the clean singing of the other two vocalists all the while maintaining his signature heavy doom riffing and haunting keyboards. The entire record screams with emotion that can darken even the brightest soul, evoking emotions of dread that can overtake one’s entire being. It’s music like this that brings you to metal because it is so encompassing that you find something new about it with every spin of the record. This is music to turn up loud while turning the lights off,and completely digesting the sound that bleeds from your speakers.